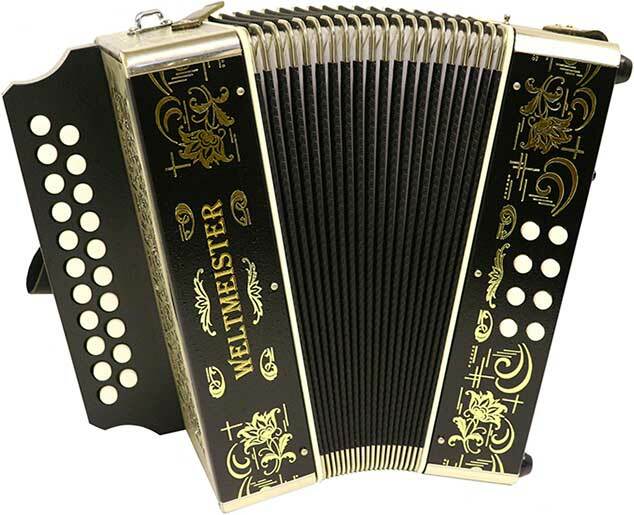 The Weltmeister 86W diatonic melodeon. 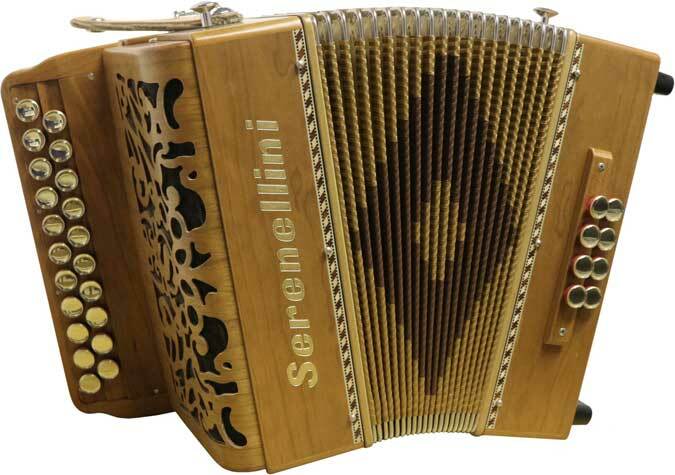 D/G tuning. 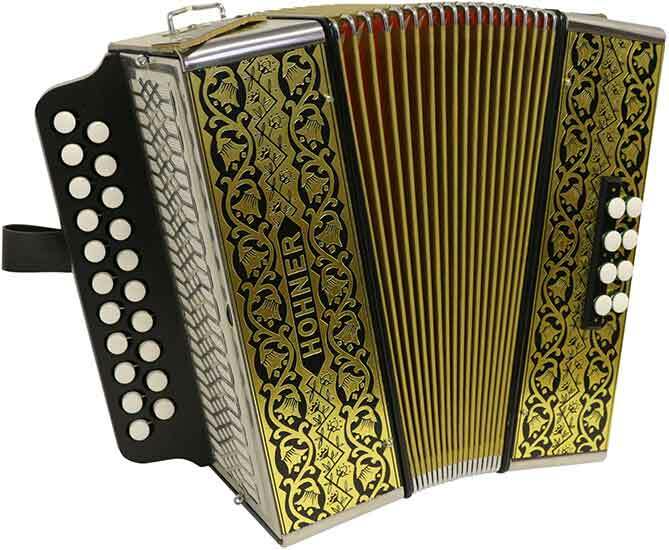 Black with gold inlay design. 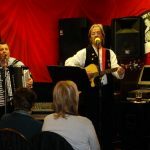 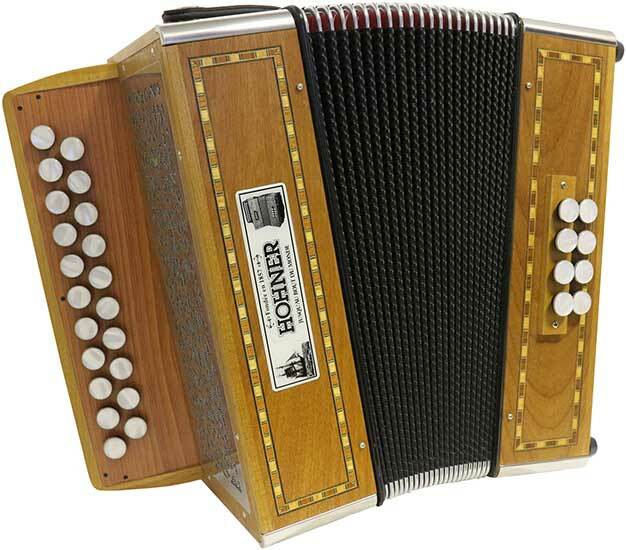 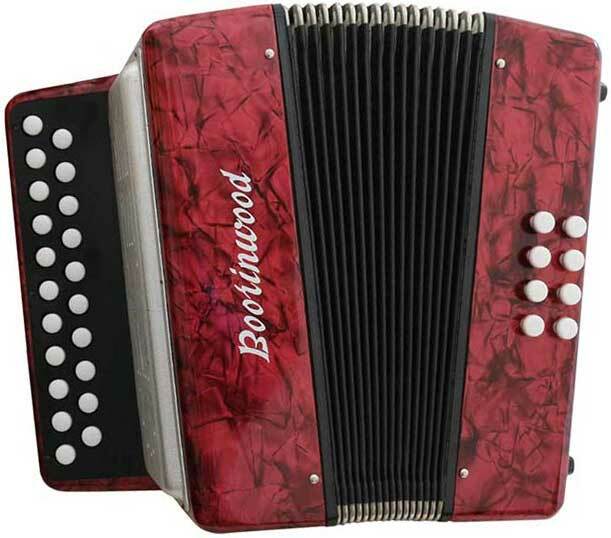 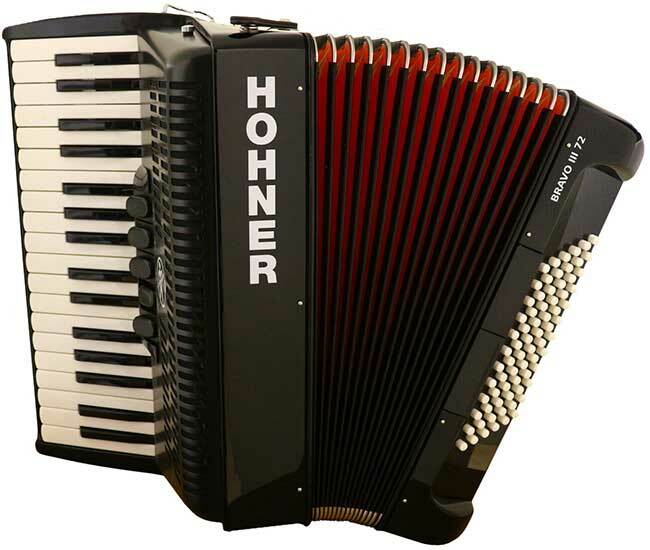 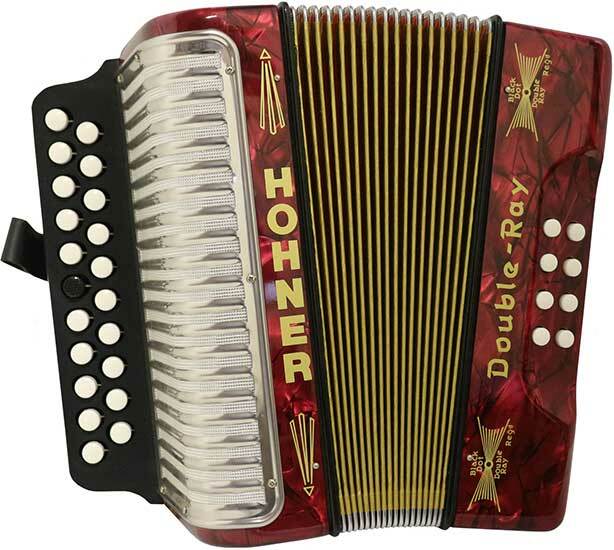 Offering great quality and value, this 2 row melodeon is well suited for beginners and intermediate players alike.